Within the global functional drinks market, energy drinks is the leading segment, which has a market share of about 58%. The energy drinks global market is expected to have a CAGR of 10% and the energy drinks consumption is forecast to reach more than 6.4 billion litres by 2016. Red Bull, an U.S based company, is a leading brand in the energy drinks market segment. 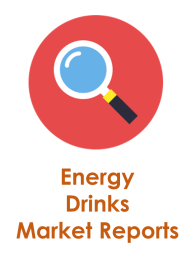 In most of the countries, energy drinks is one the most important market segments, mainly because of its huge consumption by older population. In order to compete with the emerging players, most of the energy drink manufacturers are introducing innovative products in the market. This industry is also continuously experimenting with different innovative products such as sugar free products and light drinks mainly to attract female consumers. Within the global functional drinks market, energy drinks is the leading segment, which has a market share of about 58%, as per the data given by MarketLine. In 2011, the energy drinks consumption globally was more than 4.7 billion litres. 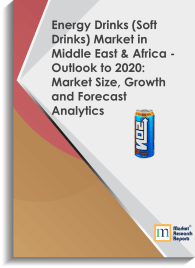 Inspite of the unfavourable economic situation worldwide, the energy drinks market is expected to have a CAGR of 10% and the energy drinks consumption is forecast to reach more than 6.4 billion litres by 2016, as per the report given by the Canadean. The world’s leading consumer of energy drinks is Asia and this region alone accounts for around 40% of the world figure. By 2016, the global market for sports and energy drinks is forecast to reach above $52 billion in value and 13 billion litres in volume, as per the data given by Markets and Markets. Red Bull, an U.S based company, is a leading brand in the energy drinks market segment, which sold more than 4,600 cans in 2011. In the same year, the company’s revenue had increased to more than 12% and the company’s growth had reached more than $5.5 billion. The company has around 8,300 employees, across 165 countries all over the world. Between 2009 and 2010, the world energy food and drinks market had a growth of around 7% and the market value was above $30 billion. In 2014, this market is expected to reach $39 billion, as per the data given by Business Insights. In 2012, the energy drink consumption in U.S rose to 17% as compared to around 13% of its consumption in 2006 and the market is expected to reach $21.5bn in 2017, as per the latest news update given by Foodnavigator. Red Bull, Monster, Burn, Rockstar, Coca Cola, Pepsico, Amway Xs Energy Drink Products and Hansen Beverage are some of the top energy drinks industry players in the world, as per the data given by Canadean.